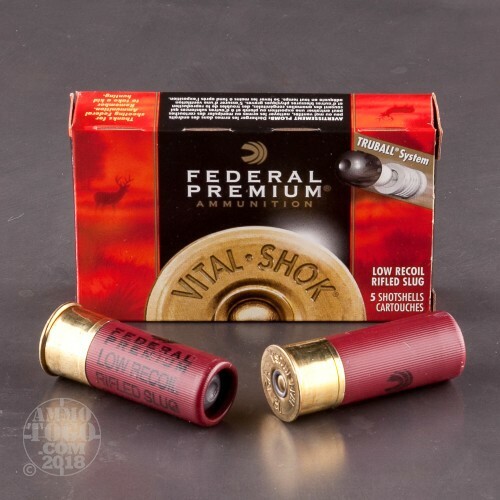 Federal’s TruBall slug is designed to give a smoothbore shotgun tack driving performance, and achieves this to the point that it bridges the gap between a shotgun’s and a rifle’s accuracy. 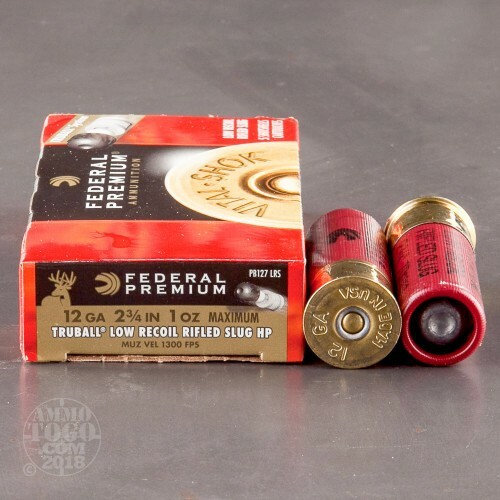 The rifled Foster slug sits atop a solid polypropylene ball, which itself sits atop a high density wad with a concave cavity in its base. 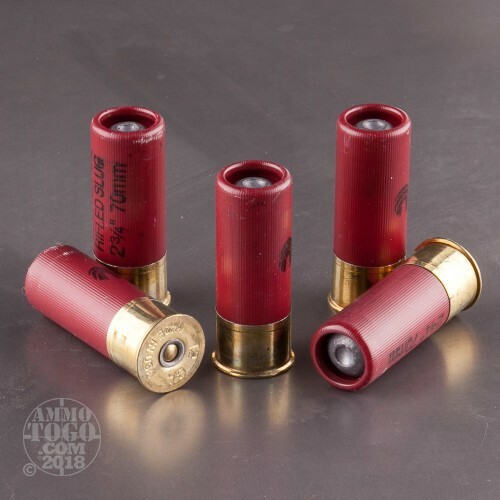 During ignition these three components work hand in hand to center the slug perfectly within the bore, thrusting it straight out of the muzzle at a velocity of 1,300 fps -- the components then separate cleanly. The result is a slug capable of 1.4” groupings at 50 yards, and because its a hollow point its terminal performance is ideal for toppling whitetail and other medium-sized game. 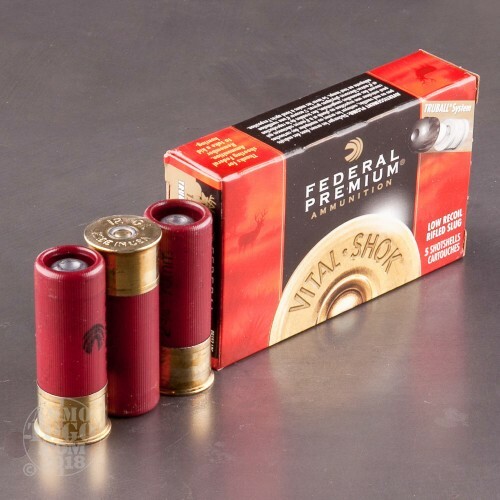 This shell’s wad further features ribs that collapse upon firing to noticeably reduce the recoil experienced by the shooter. Its non-corrosive primer and propellant both ignite cleanly to preserve the shotgun’s interior, and its hull won’t crack under pressure.